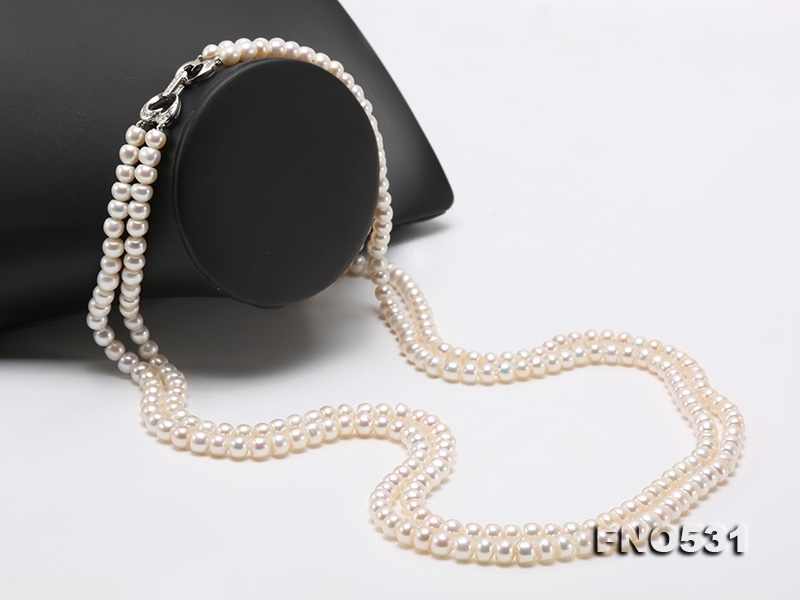 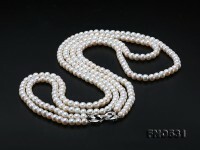 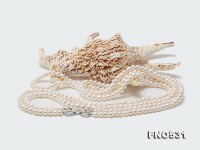 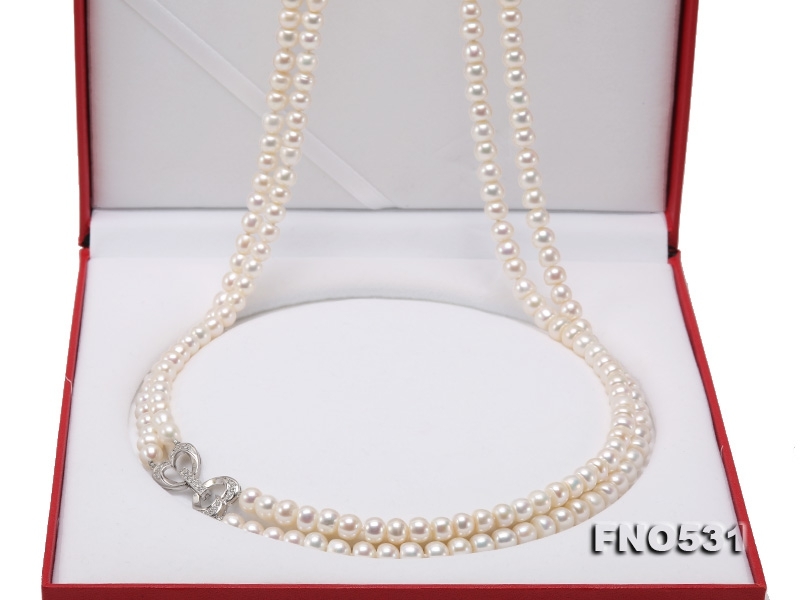 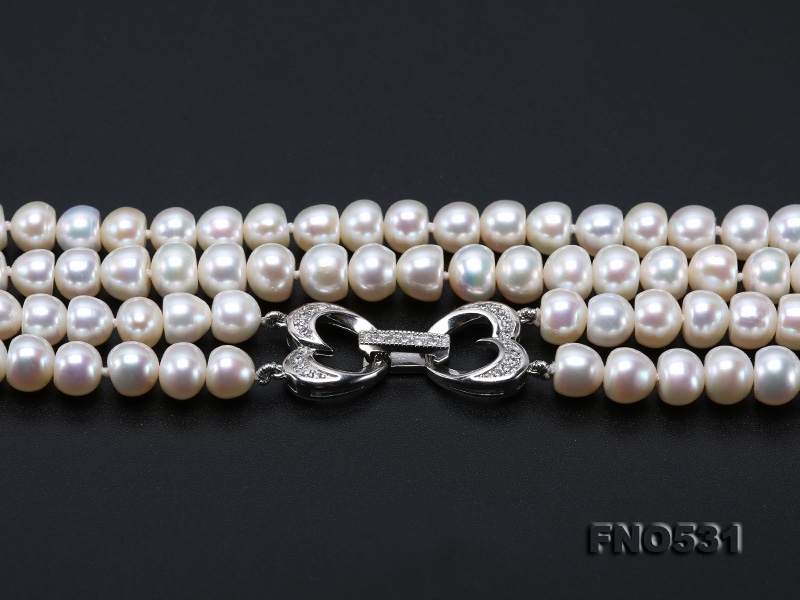 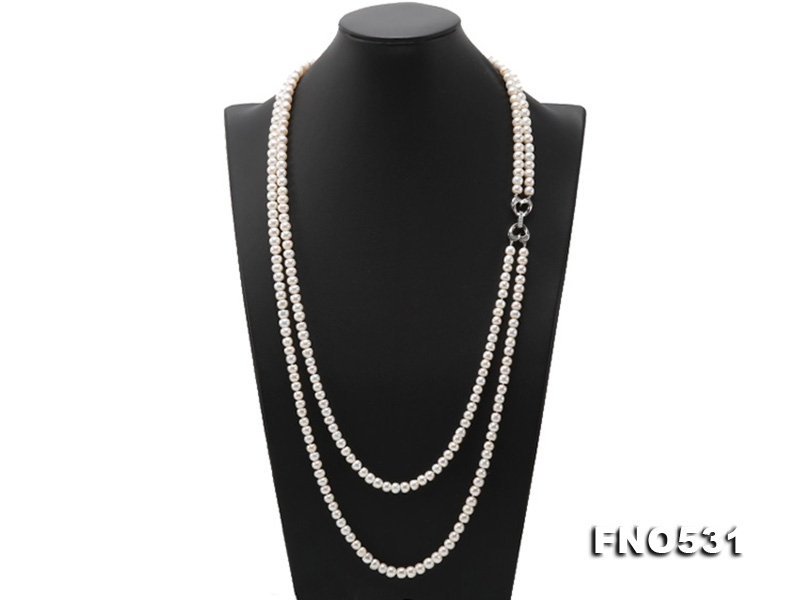 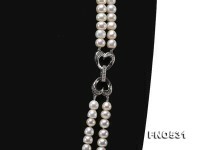 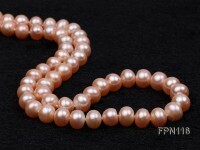 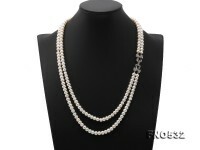 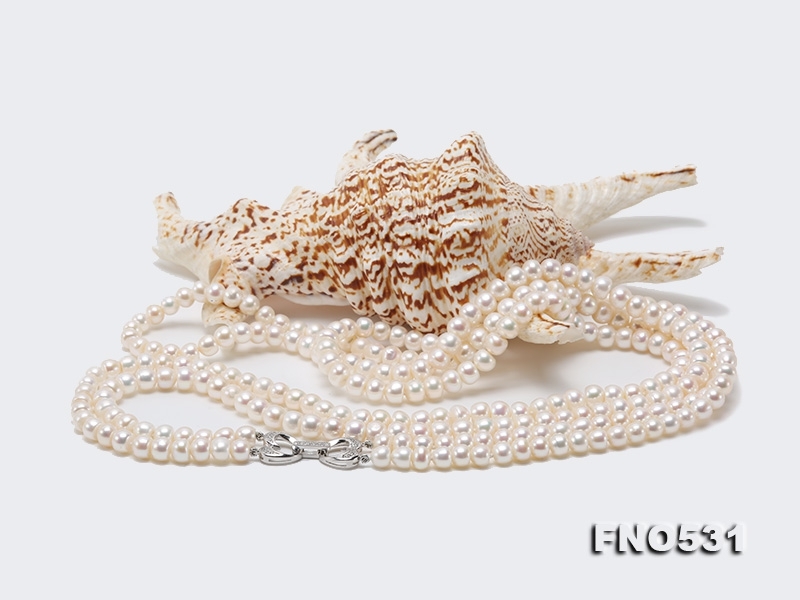 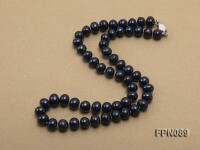 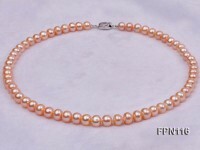 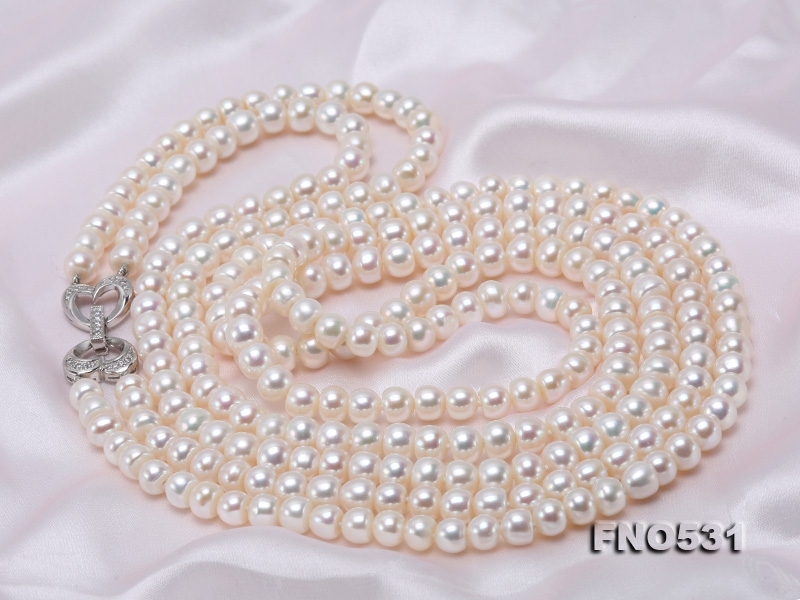 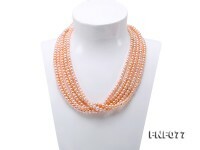 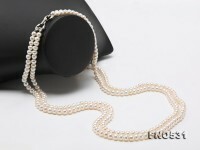 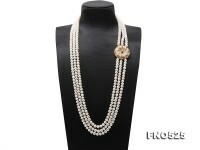 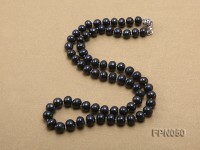 Chic double-strand 6.5-8mm white flatly round freshwater pearl necklace for sale. 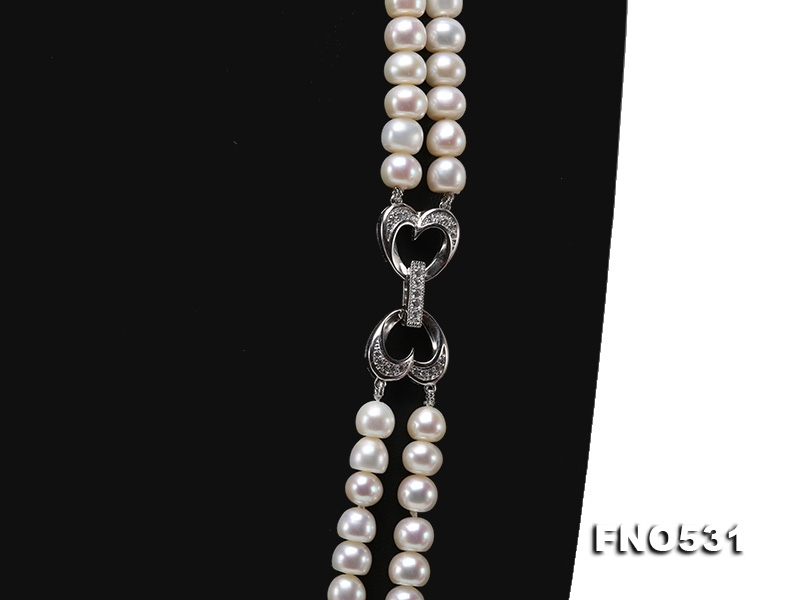 The long pearl necklace measures 30-34 inches long and is connected by a delicate gilt copper accessory dotted with shiny zircons. 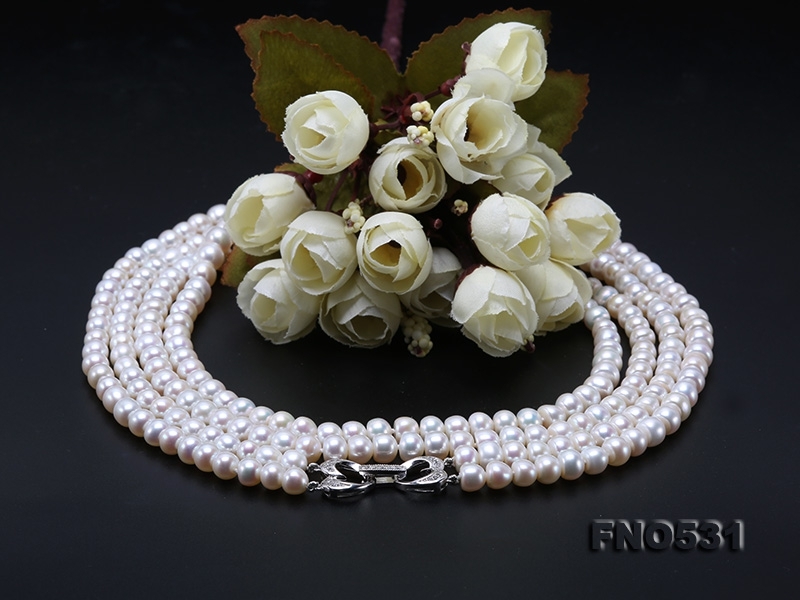 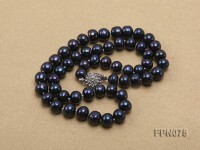 Without any sophisticated design, the two-strand pearl necklace makes perfect match with various kinds of turtleneck sweaters and low-cut gowns. Pearl has always been regarded as an auspicious token of health, happiness, prosperity and purity from very corner of world.